Vulnerability is irresistible. I went to see the Great Gatsby a couple of nights ago and now I am obsessed! Not only was the cinematography lush, vibrant and multi-layered, but the music was chosen with such precision that it should be named as best supporting role! The soundtrack of the movie has become as talked about as the acting itself. The songs and their placement enhanced every single scene. Even though the story was set in the roaring 1920’s, the conflicts and hopes of the characters are timeless and that is why the modern music makes such a contribution to the mood. 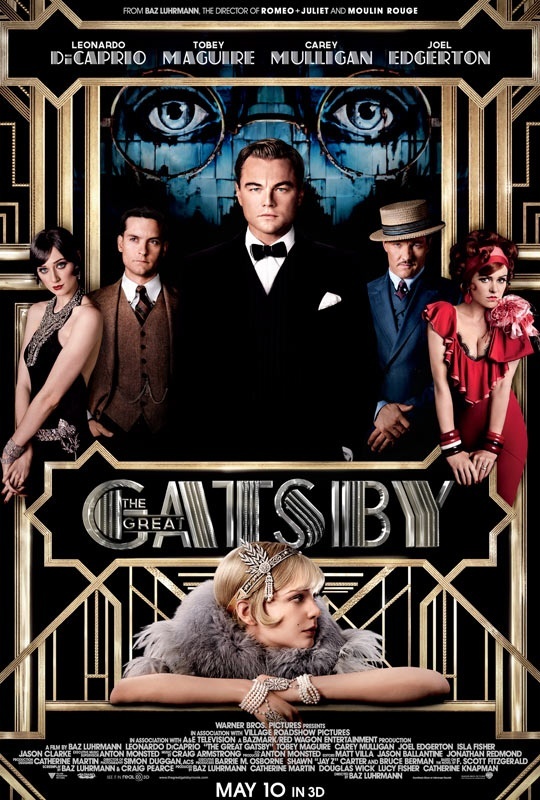 Rather than choose music with a retro style, Baz Luhrmann’s The Great Gatsby chose the songs on the soundtrack based on the feeling, not the era. The song choices so perfectly linked that when heard outside of the theater, they still evoke the feelings from the scene. The acting by Leonardo DiCaprio was absurdly good. He transformed a scene with the slightest creasing of his brow, a deep sigh, a pause. Jay Gatsby is driven, patient and at times over the top with his need to create his perfect life. The most irresistible thing about the movie is the vulnerability that is shown in Jay Gatsby’s character, a man of great success and influence but incomplete… searching to recapture lost love and friendship. This vulnerability is how we get vested in his success and in his human-ness, we find ourselves rooting for him to have it all in the end. I don’t want to go back and retell the story because you just have to go see this movie for yourself. This modern and edgy interpretation is not your high school book version of The Great Gatsby! Treat yourself to a superb, albeit fantastical version of one of the most famous stories of the drama and intrigue of the life in excess during the 1920’s… and then hurry and download the soundtrack! This entry was posted in Great Gatsby, inspiration, love, The Great Gatsby movie, Uncategorized and tagged drama, entertainment, jay gatsby, Leonardo DiCaprio, literature, movie, music, oscars, The Great Gtasby, vulnerability. Bookmark the permalink. Thank you! I’d love to hear what you think of it after you see it-enjoy!